The cities of Apple Valley, Farmington, and Rosemount in Minnesota jointly administer their PEG (public, educational, and government) cable channels through the Apple Valley Farmington Rosemount Cable Commission (AFRCC). Residents who subscribe to cable television service can watch city council meetings live or as taped cablecasts on the government access channels. In the summer of 2014, the cities cooperated again on updating the technology in each city’s council chamber. The objective was to move from the video systems from standard definition analog to HD digital. The technology would be similar for each video control room so that staff could easily be shared among the cities to assist with the cablecast of the council meetings. 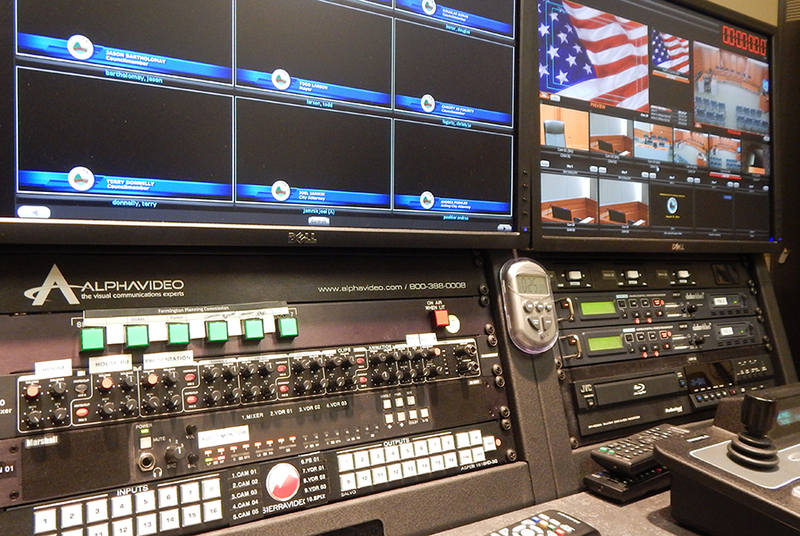 Working with Alpha Video, the technical staff at AFRCC designed a control room that was affordable, easy-to-use, and produced a high-quality production for live streaming to local citizens. Each city council chamber has five Panasonic AW-HE120 PTZ HD cameras installed strategically around the chamber to provide complete coverage of the entire room. A WolfVision EYE-12 document camera is installed in the ceiling. 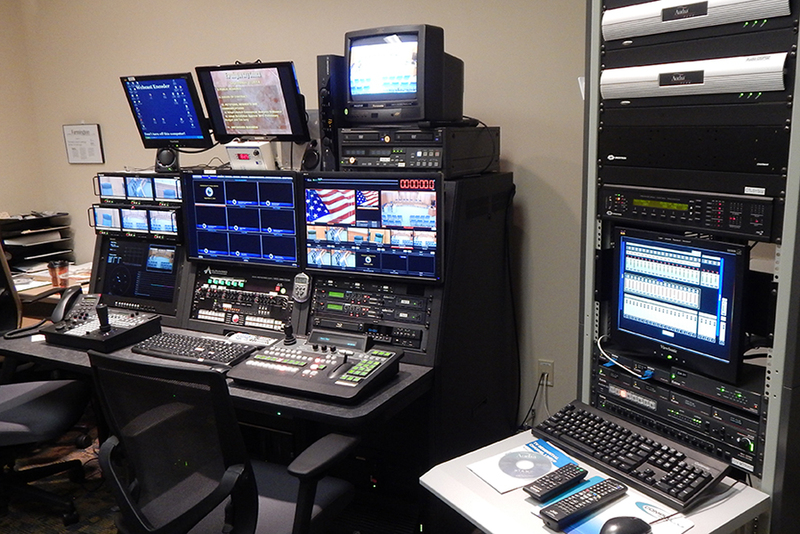 In the control room, a Panasonic AW-RP120 camera controller is installed along with a Broadcast Pix Mica switcher since it can efficiently ingest the signal from up to eight SD/HD cameras. A DataVideo HDR70 digital video recorder and JVC Blu-ray disc player are used for recording the meetings. 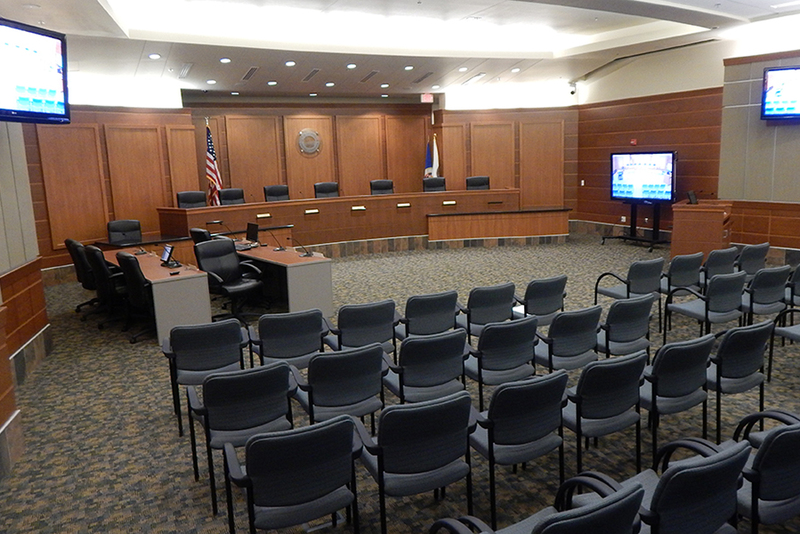 Alpha Video first completed the technology upgrade in the Farmington City Council Chambers in the fall of 2014 with Rosemount and Apple Valley following in 2015. The technical staff and I along with Alpha Video put a lot of effort into trying to make sure that we are going to put the best possible product on cable TV. It is a mark of success for us that our viewers feel they are seeing a very good-looking product and receiving an opportunity to view more transparency in the government that serves them.